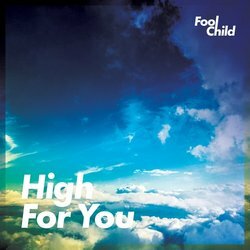 Fool Child are a Melbourne duo supported by their band, creating an amalgamation of Indie and Electro/Pop sounds. Their music is described as ever-evolving; powerful emotive lyrics amongst periods of contemplation, combined with creating the urge to get off your chair and dance. Taking influences from the likes of Foals, Phoenix, The Beatles and a plethora of contemporary Australian artists, Fool Child have evolved their roots from Folk-pop to their new sound whilst incorporating synth elements to their music. Fool Child have enjoyed global exposure alongside rotation on Triple J, Triple J Unearthed and community radio, whilst playing at a local festival in their first ‘outside’ experience. Combined with their sold out single launch, they’re well on their way to pushing the boundaries of their own creativity and 2019 is set to be an exciting year with a number of singles in the pipeline. Written in the face of anxiety and frustration, ‘High For You’ is a celebration of staying positive in pursuit of your passion. The song was born from resenting your day job and dreaming of pastures new, evolving into a reminder to enjoy the present day, be grateful for what you have, whilst maintaining excitement for the future.